LED curtain back lights can be a good lighting replacements for traditional t8 / t5 fluorescent tube replacement . Even & bright lights output , energy efficient led bulbs can keep well working over 30, 000 hours’ life span . demenstions :16″ x 20″, 22″ x 28″, 24″ x 36″, 36″ x 48″, 48″ x 84″, 48″ x 96″ … customization are available. 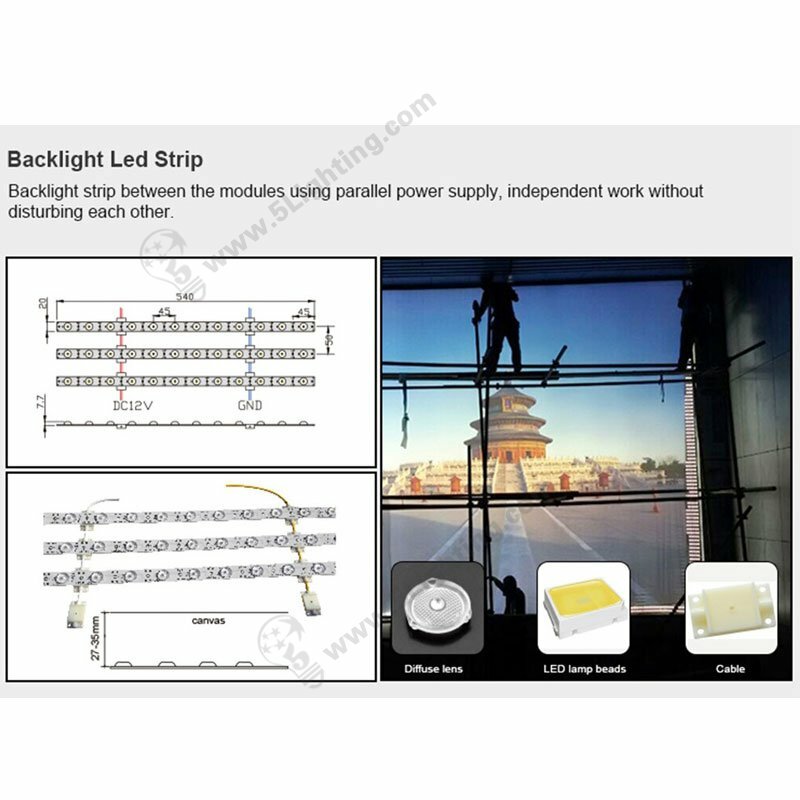 Single sided / double sided back-lit strip lights series can meet single / double sides lightbox in the market . Backlight strip between the modules using parallel power supply, independent work without disturbing each other . Advantage for frames, using connector to joint the parts, assembled by easy steps, saving packaging volume . – Repeat the same steps at the other side and corners . (4) Wide application for small / large size light box illumination with our back lighting.